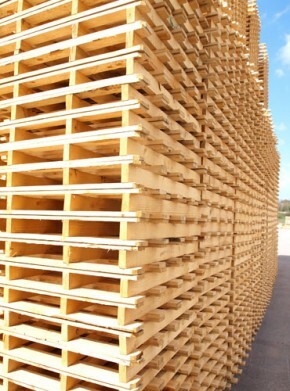 At Reardon Pallet Company, Inc., we provide our customers with the best product possible for their money. All of our products are put through processes that meet and exceed industry standards. We are proud to provide a heat treatment service, which is a state-of-the-art process which keeps wood-eating insects from going from one shipping location to another. We are also proud of our Viking Champion pallet machine, which can produce quality pallets in a timely manner. This allows Reardon Pallet Company, Inc. to get your order to you as fast as possible while still providing the best pallet in the greater Kansas City area! For more information on our processes, give us a call at (816) 221-3300 today!